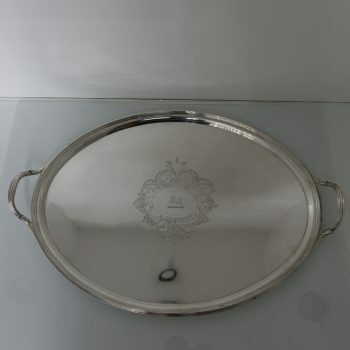 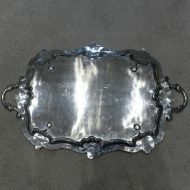 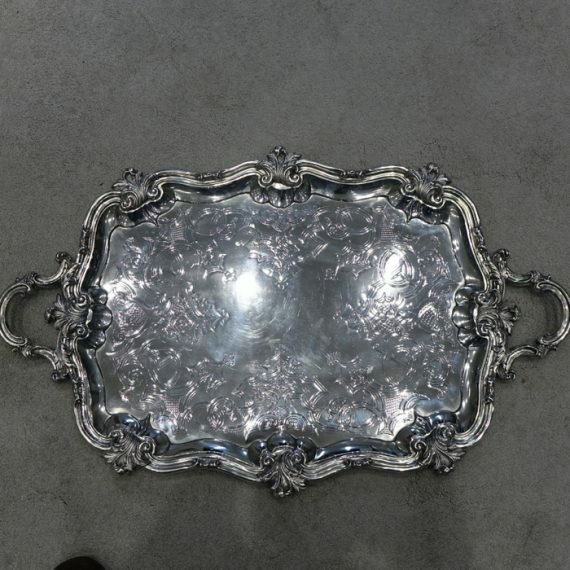 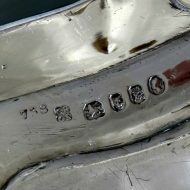 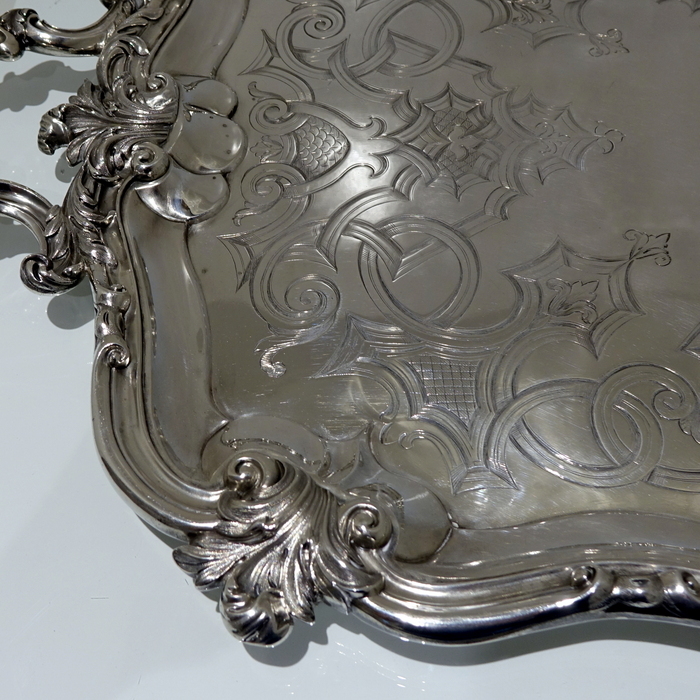 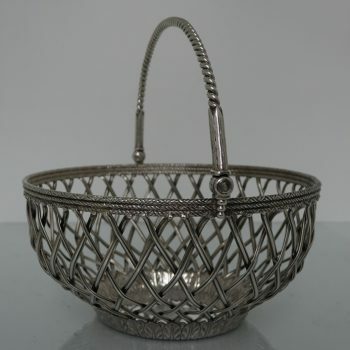 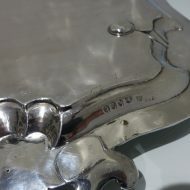 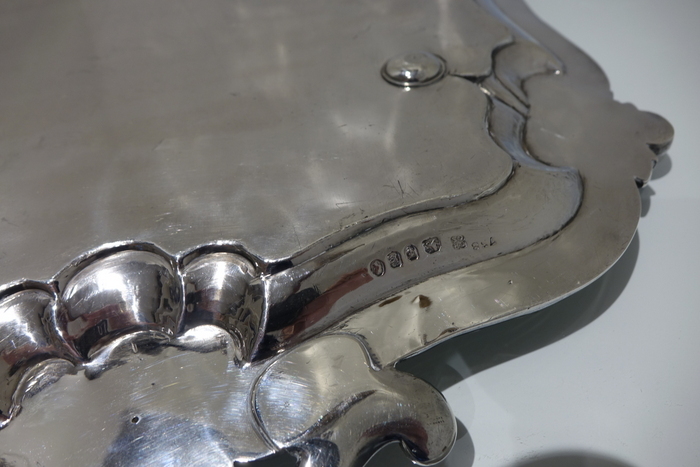 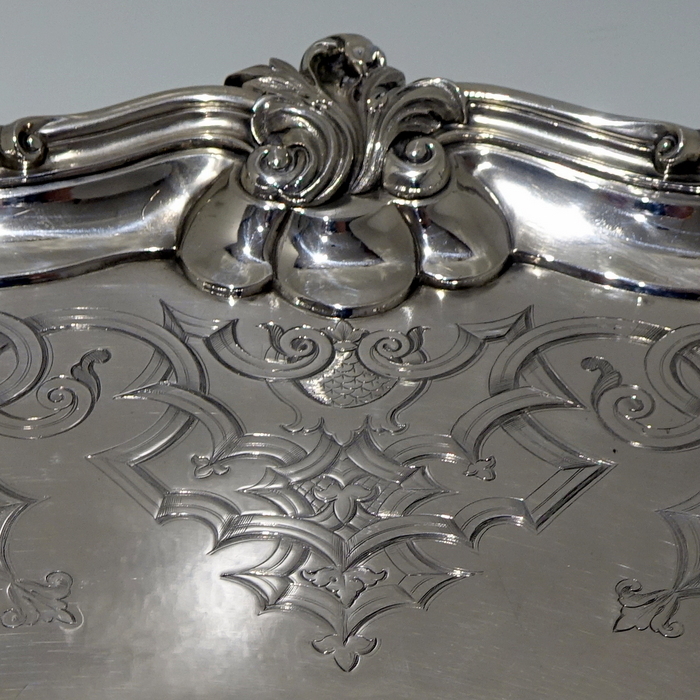 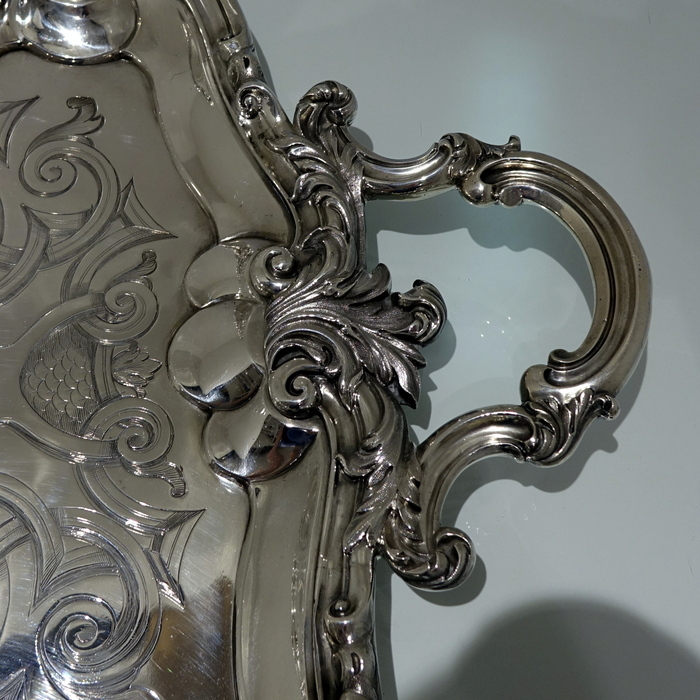 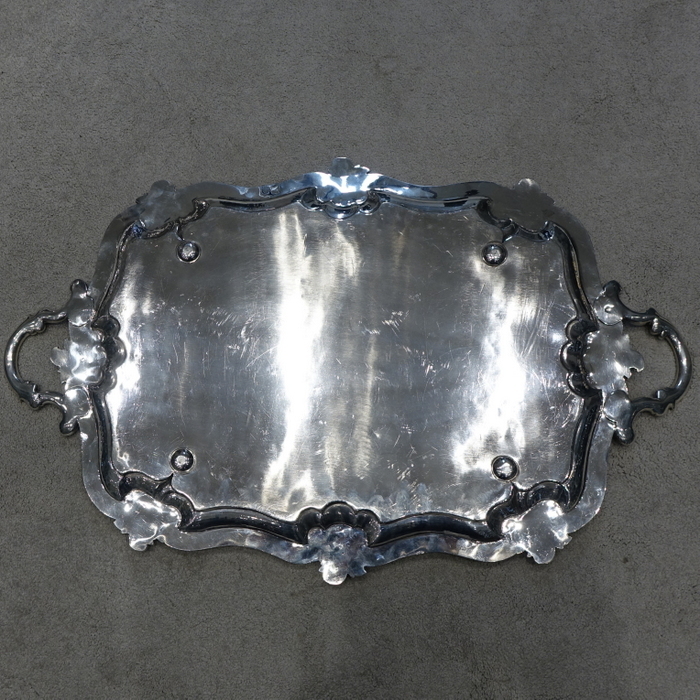 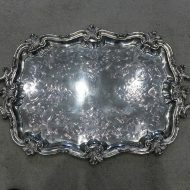 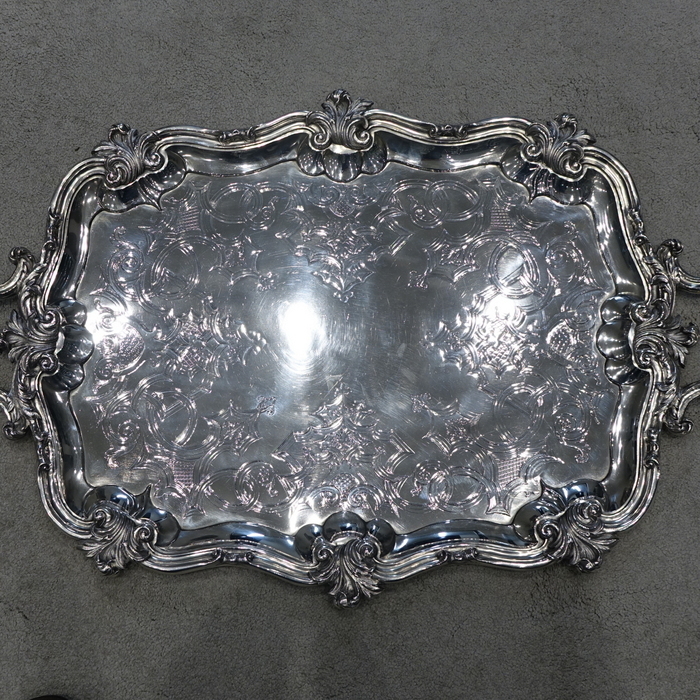 A very stylish large 19th century silver rectangular shaped tray. 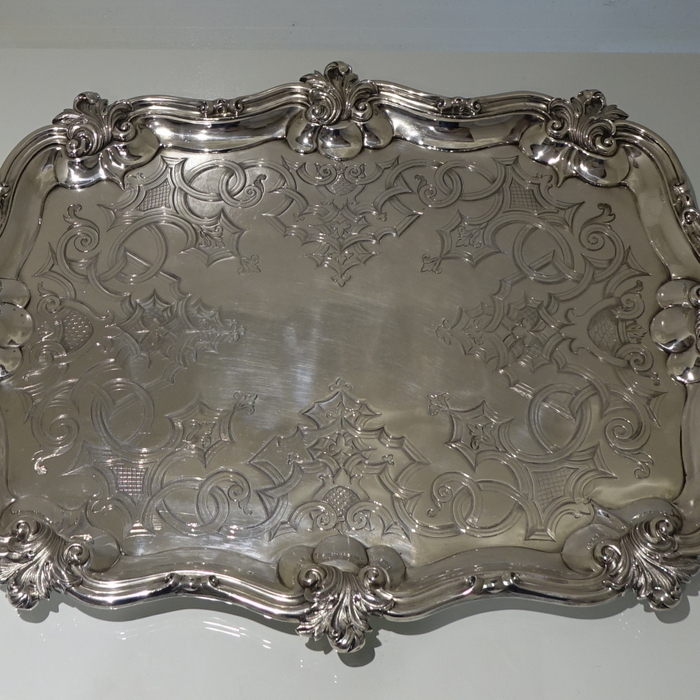 A very stylish large 19th century silver rectangular shaped tray with interspaced floral motifs for highlights on the border. 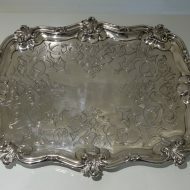 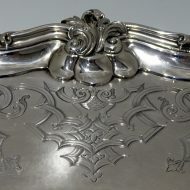 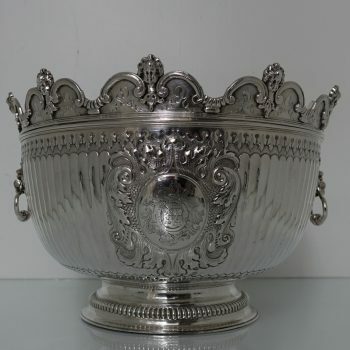 The centre of the tray has stylish gothic engraving which elegantly forms a cartouche.